The new iPad Pro is available in 11 inch model and 12.9 inch model. It is equipped with Face ID, Bionic chip and USB C in the most ever slimmest design. Here we have come up with the exciting features in Apple iPad Pro. With the release of the iPhone X, it is clear that Apple is slowly shifting to FACE ID technology from its Touch ID technology. And a new iPad Pro is no exception. You can unlock your iPad Pro and use other apps by simply looking at the display, instead of using your fingerprint. Its 7 MP 3D face scanner is also made to work in any direction, no matter if you hold it in a portrait mode or landscape mode. The replacing of Touch ID with Face ID also signals that there would be a new way to navigate iPad pro. The gestures would be same as you use on the iPhone X. For example, swipe down to the left to access the notification page and on the right side for the Control Centre. Swipe up from the button will get you to the dock while continue swiping will be an access to the App Switcher. Swiping along the bottom edge will enable you to use the most recently used applications. Although the new iPad Pros come with a larger display, it is the thinnest iPad ever. It can be carried with an ease. The iPad Pro is available in two sizes, 11 inch and 12.9 inch. Both models have Liquid Retina display with rounded corners (as iPhone XR has). The 11.5 inch iPad Pro has a bigger display and more pixels than 10.5 inch model, though it weighs only a pound. The iPad pro comes with a USB-C port replacing the Lighting connector found on its previous versions. Apart from charging the device, you can use it to connect your device to external displays and docks along with the cameras and other devices. Another new yet striking feature of iPad Pro is A12X Bionic Chip. According to Apple, it will improve the single core-performance up to 35 percent, while make multi-core processer 90 percent faster. Moreover, its seven-core GPU processes the graphics up to 1,000 times faster, thereby ensuring outstanding and vividly rich visuals. According to the manufacturer’s claims, the battery life can last up to 10 hours. This is good news for you if you often misplace your Apple Pencil. The new iPad Pro lets you attach the pencil with its case, and that’s too magnetically. Moreover, the Pencil will automatically pair and wirelessly charge as you connect it to the device. Once connected, the device will display that the Pencil is being charged. Connecting the Apple Pencil also lets you switch between the different modes with a double tap and you can automatically jump to the Notes app as you tap on the display. So these interactive features must encourage you to buy the new one now. However, there are a few downsides like high price tag, removal of the headphone jack and extra cost of keyboard and pencil. 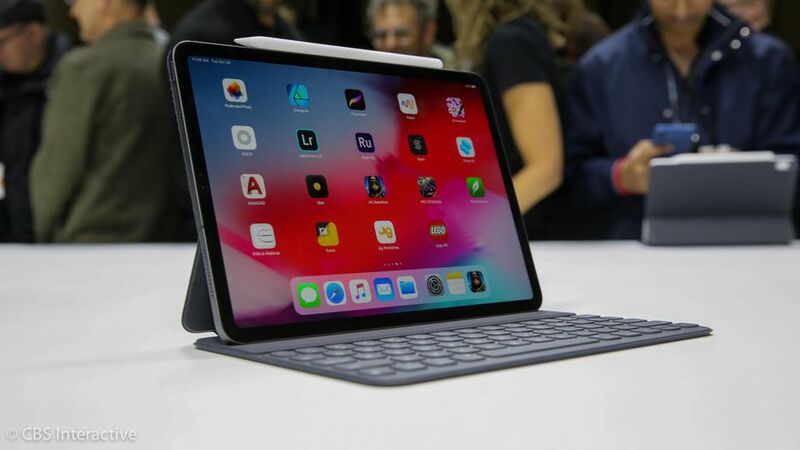 Despite that, one thing is for sure that the new Apple iPad Pro is going to take your experience with the tab on a new level. Ng Wei Khang, CEO at a Singapore based IT consultancy company, APIXEL IT Services, has been operational for over 8 years from now. Apixel provides fixed price IT Support Services with unlimited packages that includes small business server setup, Cloud Solution Configuration, Network management and Data security & Theft prevention. The company also provides expert IT consultancy to SMEs in Singapore.